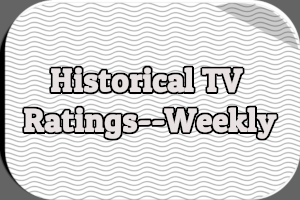 Retro Review is a monthly column that examines episodes of short-lived or obscure television shows. Each column includes both a summary and a review. 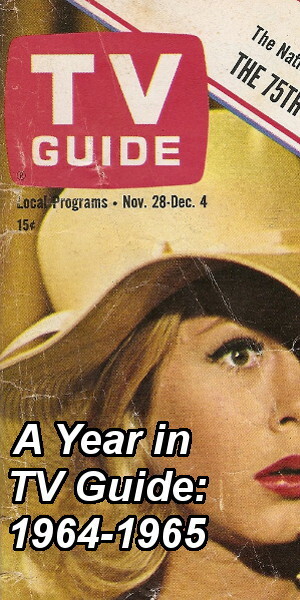 Retro Review is published on the fourth Thursday of every month. Critics raved about this NBC drama and its realistic look at life. Glenn Corbett stars as 22-year-old Wes Macauley, a college student raising his 14-year old brother Howie (played by Mike Burns). 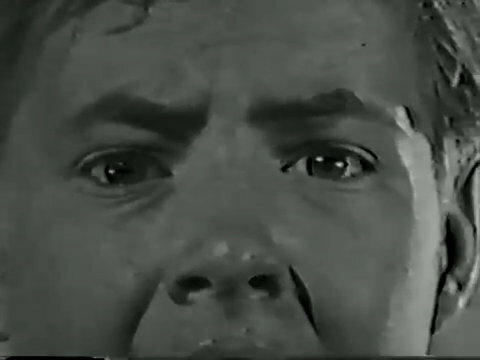 The brothers live on a houseboat named The Elephant with their friend Tom-Tom DeWitt (played by Ted Bessell). 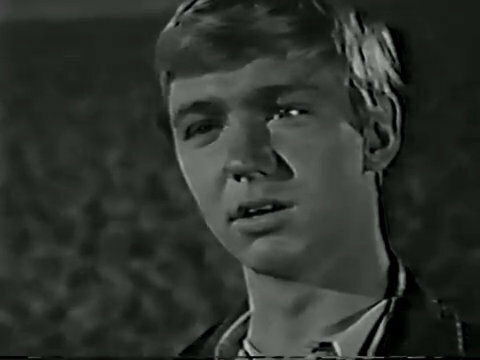 The three young men are soon joined by Vern Hodges (played by Randy Boone), a wannabe folksinger. Sadly, viewers weren’t interested in It’s a Man’s World. The network soon cancelled the series. The cast mounted a “save our show” campaign with the help of critics and fans in an attempt to keep the show on the air. It didn’t work. 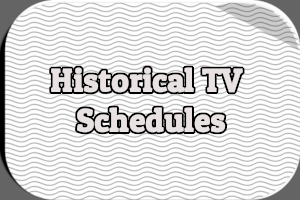 Only 19 episodes were produced and broadcast during the 1962-1963 season. The series has never been syndicated in the United States. 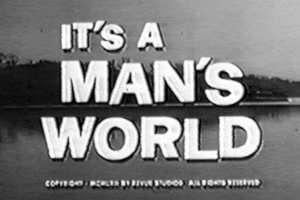 Learn more about It’s a Man’s World by reading my in-depth article about the show. A young man with a guitar and a suitcase walks up to the Cordella town line and catches a ride into town. Meanwhile, Howie Macauley is hard at work collecting money for the Cordella Courier. He’s excited about his final year of junior year, particularly his Latin class. Wes pulls up in his jeep and Howie climbs in, accidentally dropping his money bag and the $32 he collected. The brothers drive off. The young man with the guitar finds the money bag and, after looking around for the owner, pockets it and walks away. Wes and Howie discuss school while driving home. Wes has signed up for six classes and 18 units at Cordella College. They arrive at the waterfront gas station where Wes works. Mr. Stott, his boss, and Irene, his girlfriend, are there. Irene has just returned from a shopping spree. Wes changes into his overalls, then annoys Mr. Stott by arguing with Irene about money. Money is all anyone can worry about. Howie realizes his money bag is missing. Then Wes receives an unexpected tax bill. Growing increasingly frantic, Howie recalls other things he lost: a skate key, his father’s pliers. Conversations replay in his mind, as does a news broadcast announcing the death of his parents in any icy crash. The young man with the guitar opens Howie’s money bag to discover the wad of cash inside. He sees an expensive pair of boots in a shop window, boots he can now afford. Howie overhears Wes talking on the phone to Irene about the tax bill and can’t bring himself to tell his brother about losing his newspaper money. While Howie searches for his missing money bag, the young man with the guitar thinks about buying the expensive boots that caught his eye. But he just can’t make up his mind. After finding his empty money bag in a garbage can, a dejected Howie tells Irene and her sister Helen what happened. Irene goes with him to tell Wes and the two start arguing again, ignoring Howie. Mr. Stott interrupts and Irene asks him to lend Wes $32. Mr. Stott refuses, infuriating Irene and giving Howie the opportunity to walk away. Tom-Tom, returning from Cordella College, nearly drives into Howie. Back in town, the young man with the guitar finally decides to buy the expensive pair of boots. Tom-Tom confronts Wes, Irene, and Mr. Stott, admonishing them for arguing rather than helping poor Howie. Wes rushes off to talk to his brother, only to see Howie rowing away in The Elephant’s rowboat. 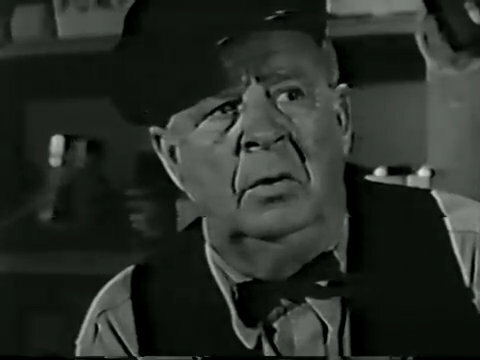 Wes returns to the service station and begs Mr. Stott for a $32 advance on his pay. Mr. Stott shocks Wes and Irene by actually handing over the cash. The young man with the guitar wanders into Muskingum Park. He sits down to try on his new boots. Howie, sitting in a tree in the park, strikes up a conversation with the young man. The young man does most of the talking, telling Howie how he always knew he was going to travel, how long it took him to buy his first pair of boots, how he worked for every cent that went into those boots. The young man realizes he didn’t earn his expensive new pair of boots. The two continue talking until the young man announces he’s leaving. Before he gets up, he puts his old boots back on. Howie shoves off in his rowboat, ignoring the young man’s farewells. Tom-Tom wrestles a large box onto The Elephant. Wes helps. It’s a new television set. Tom-Tom has a plan. He signed up for three more classes at Cordella College. His father pays him $10 a week for every course he takes. With the extra classes, he’ll be bringing in $60 a week. He’ll use the TV to take an early morning television class in Italian every morning so he can keep up with one of his new classes. Howie walks into the offices of the Cordella Courier, ready to admit he lost the money. Nobody is around except the janitor, who asks Bowie if he knows whether any of the delivery boys lost their collection money. Howie instantly perks up. He rushes home to tell everyone the good news. But he’s too excited. Wes has to grab him and cover his mouth to get him to calm down. Wes is happy the money turned up. Tom-Tom asks how the money made its way back to the Courier office. Howie tells them all he knows: some guy found the money and returned it. Wes is grateful to the stranger they’ll probably never meet. The young man with the guitar walks out of Dobson’s Market, which overlooks The Elephant. He finds a kitten on the ground and picks it up. As he walks off, still carrying the kitten, he passes a father lecturing his little boy about respecting the property of others. The young man agrees with what he hears. He places the kitten on his shoulder and continues on his way. 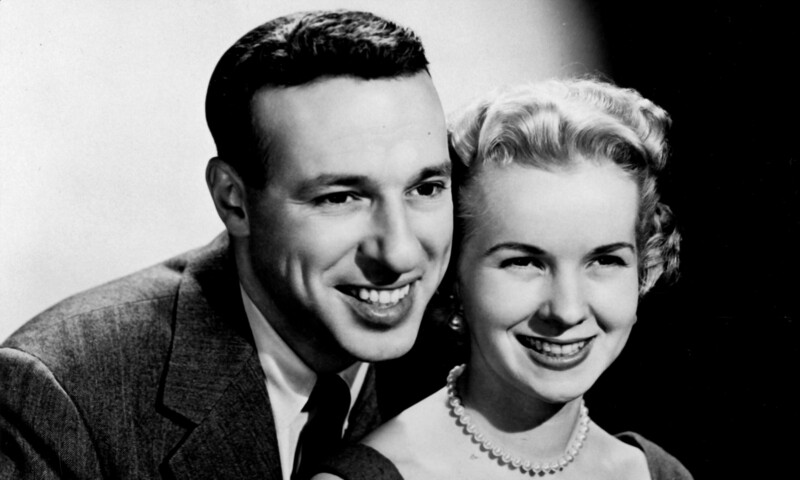 It’s A Man’s World celebrated its 55th anniversary earlier this month. I’ve only seen a handful of episodes but hope to one day finish the entire series. I’ve enjoyed the episodes I’ve seen and can understand why so many viewers in 1962 adored the series. What intrigues me most about “Four to Go” is the fact that the young man with the guitar is never identified as Vern Hodges. Howie is the only character to meet the young man with the guitar but the two don’t introduce themselves. It’s an unusual choice, allowing viewers to get to know a character when they don’t know his name. At the end of the episode, the young man with the guitar is seen walking down the street in Cordella, separate from the other characters. Were viewers watching in September 1962 confused by this? Did some of them assume the young man with a guitar was a guest star never to be seen again? Or had newspaper articles, magazine interviews, and promotional spots made it clear that actor Randy Boone would eventually move onto The Elephant with Wes, Howie, and Tom-Tom? It wasn’t until I finished summarizing “Four to Go” that I realized how dense it is. Maybe that’s not the right word for that I mean. There’s so much going on in this episode. Believe it or not, I left quite a lot out of the my summary. There are the two main stories–Howie and the young man with the guitar–that unfold in parallel. Also, there’s pseudo-conflict between Wes and Irene that runs throughout much of the episode. And Mr. Stott’s crusty, misogynist rants. An emphasis on money runs the episode. It is heavy-handed at times. The young man with the guitar has none, Howie loses some, Irene has more than Wes, and Tom-Tom doesn’t seem to care whether he has any or not. Everything ties together nicely at the end, however. Whenever Howie recalls conversations from the past, the episode loses all momentum. 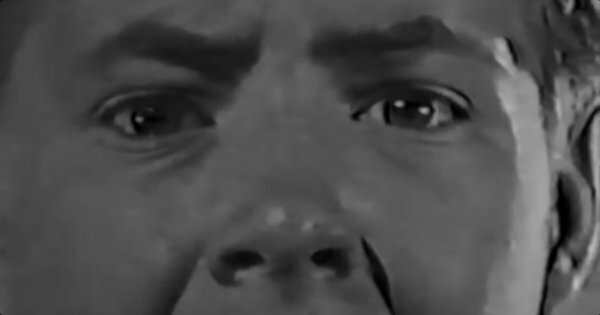 During one of these scenes, there’s a lengthy close-up of his eyes. It’s a bizarre choice, particularly in comparison to how grounded and realistic the rest of the episode is. I can’t recall if similar camera angles or close-ups are used in any other episodes. Bottom line: “Four to Go” does a fine job introducing the characters of It’s a Man’s World and their respective roles in the series. The shower on The Elephant is broken, so Tom-Tom bathes in the river. Wes was in the Army when his parents died and had a year left before he could apply for guardianship papers for Howie. Tom-Tom carries his new TV set onto The Elephant in an old ammunition box. Specifically, a box that once held Hi-Power Rifle Cartridges 30/30 Center Fire Smokeless. The characters often talk over one another. I had to pause and replay several scenes in order to catch what was being said. It’s a Man’s World is regrettably not available on any format. 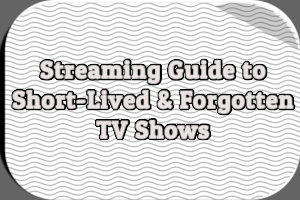 You may be able to find some episodes on YouTube. 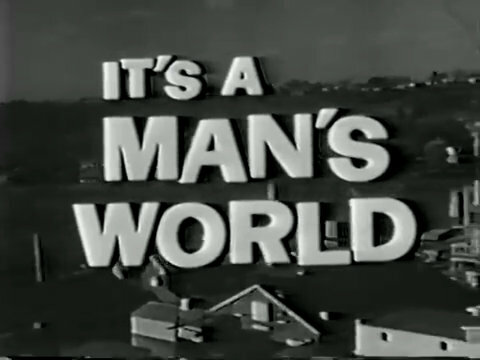 Did you watch the series premiere of It’s a Man’s World on NBC in September 1962? Were you a fan of the series and upset when NBC cancelled it? Hit the comments with your thoughts and recollections. The show had interesting and quirky characters, scripts, and setting. 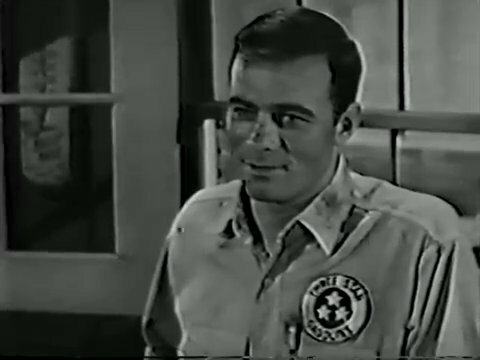 In my opinion, Tewksbury doomed the show by casting extremely bland actors, particularly Glenn Corbett.